It’s finally time for the Monthly DIY Challenge again! Some months I feel like it sneaks up on me so quickly, and other months it feels like it’s been forever since the last challenge! 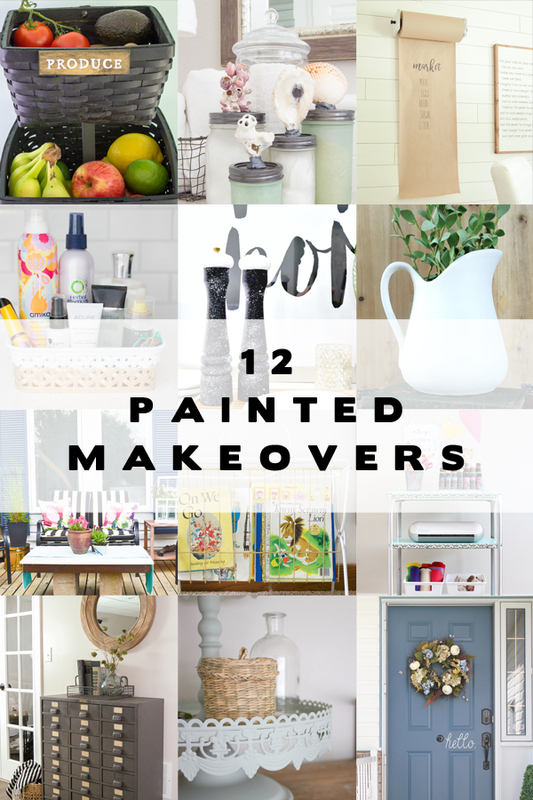 This month, we’ve partnered with HomeRight to bring you 12 upcycled painted projects, and we even have something special for you… one lucky reader will win a package from HomeRight! If you’re not familiar with our challenge, you can read more about it and see past Monthly DIY Challenge themes here. This post is sponsored by HomeRight. As always, all opinions are my own, and I only share with you the products I love the most. This post also contains affiliate links for your convenience. See my full disclosure policy. Ready to see what I was up to? 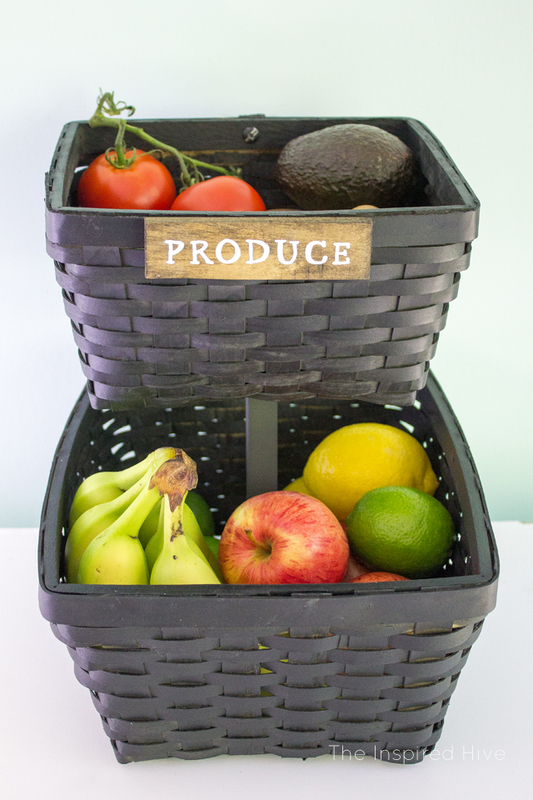 I decided to use these woven baskets to make a countertop produce stand! 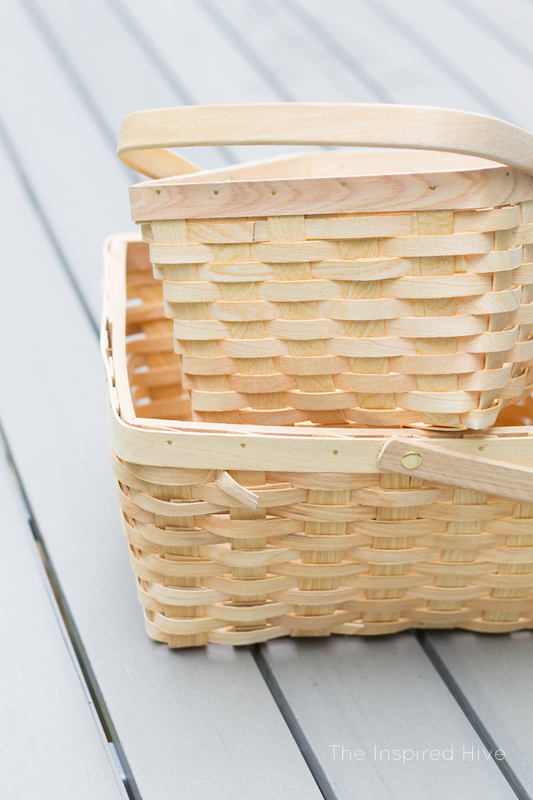 I started with two nested woven baskets. 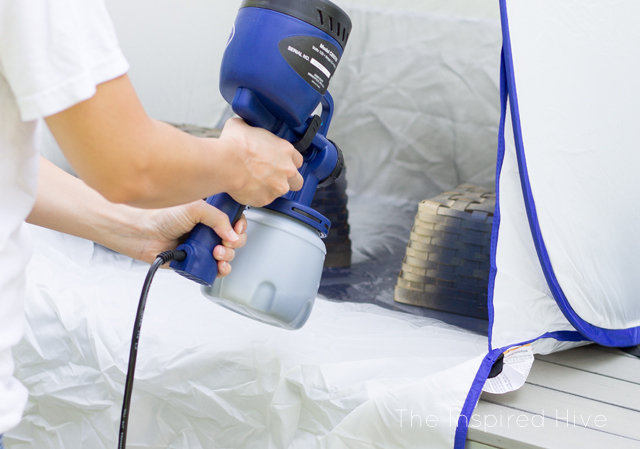 HomeRight recently started carrying small tabletop paint shelters to minimize the mess from spray painting. They also carry a large shelter, but this small one is perfect for small projects like this and was so easy to set up! You seriously just pull it out the bag, undo the elastic strap, and bam! It pops open! All set up! I had some leftover paint I have been looking for a good use for, so I decided to use the paint sprayer. A can of spray paint could easily work well for a small project like this, but paint sprayers are great when you can't find the right shade of spray paint and have to use a mixed can of paint or when you have some extra paint you need to use. 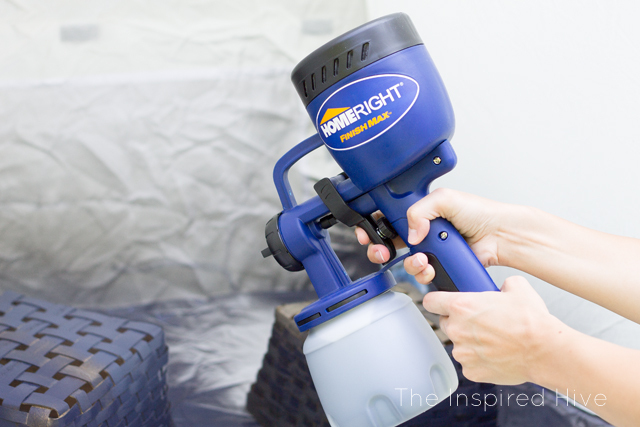 I followed the directions included with the HomeRight Finish Max paint sprayer to thin my paint with water, and then set up the sprayer. Using the Finish Max is pretty easy. 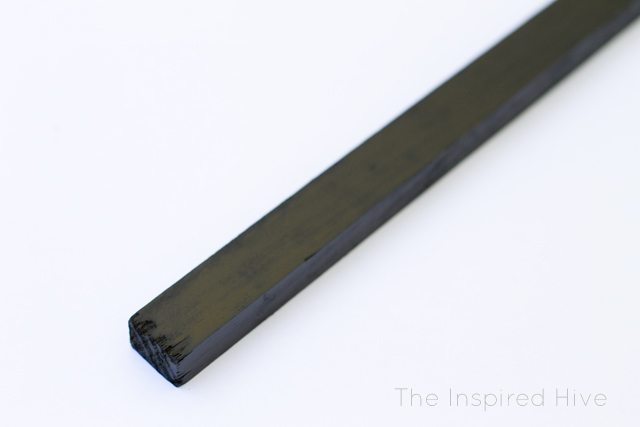 After you start the flow of paint, sweep across your project, and then stop at the end to avoid excess paint and dripping. Then do the same thing, sweeping across in the opposite direction. Once I was done painting, I let the baskets dry right in the spray tent. It was so nice to not have any mess to clean up! The spray shelter contained all of the overspray and drips. I actually ended up cutting a second piece of lattice at the end because the basket needed more support. 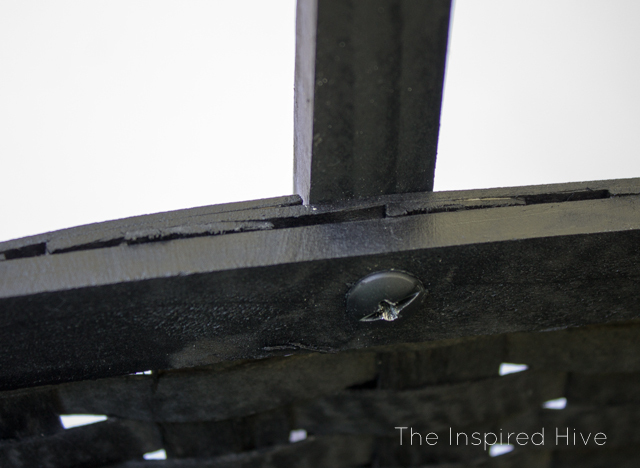 We drilled pilot holes through the baskets and lattice and then used small screws and hex nuts to hold them together. 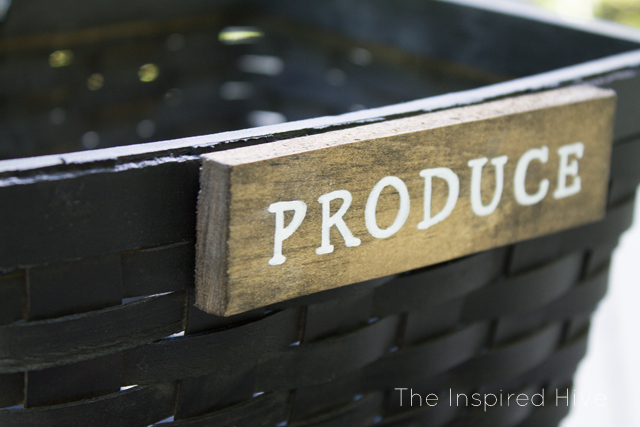 Then I created a "produce" label. 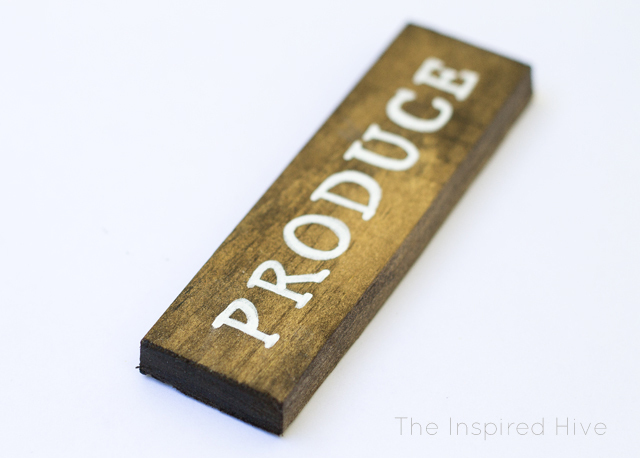 I cut and stained the wooden slats leftover from my wood-burned pantry storage labels and then used my go-to text transfer method to add "produce" with a white paint marker. 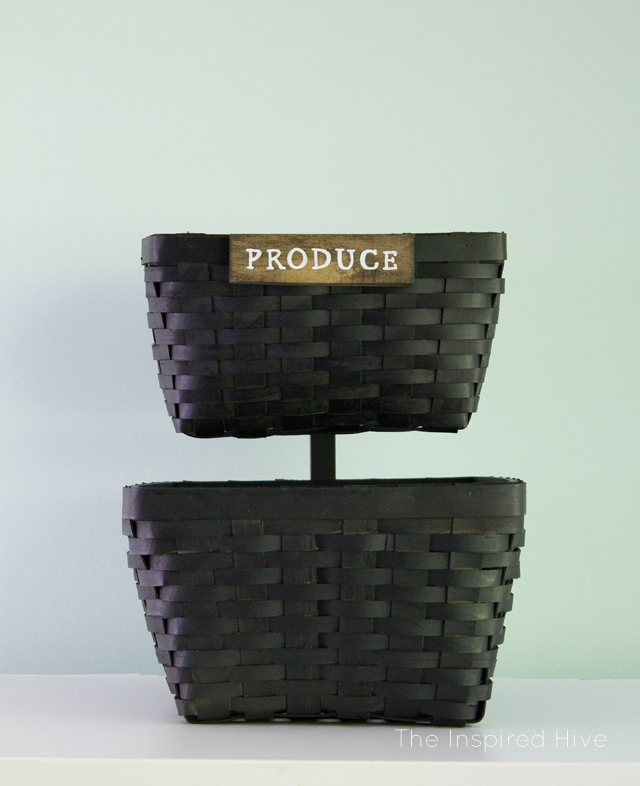 I attached the wooden label to the front of one of the baskets using a small amount of super glue. As I mentioned, I ended up adding a support piece under the front of the top basket. I didn't use glue. I just cut it to size and wedged it in. I'm pretty happy with how it came together! And I'm excited to have a dedicated place for produce now! 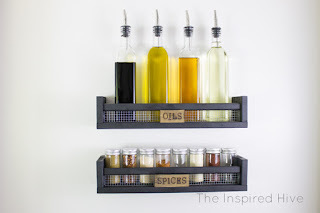 Okay, ready for your chance to win the awesome HomeRight supplies used for this project? First check out the other paint projects from my friends below, and then use the Rafflecopter widget to enter the giveaway! 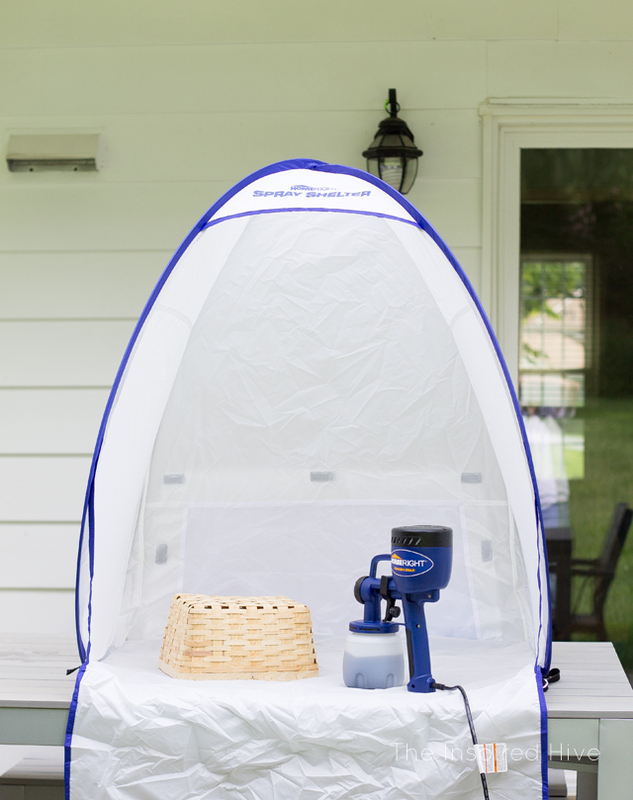 Our friends at HomeRight are giving away a package including the Finish Max sprayer, one small tabletop spray shelter, one large spray shelter, and the Rapid Clean attachment!!! 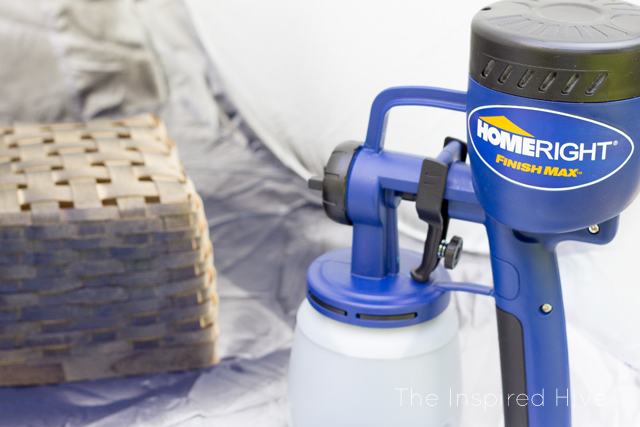 Let me know what you would paint with a new paint sprayer!! I would love to hear your ideas! The Monthly DIY Challenge takes place the third Wednesday of every month. See you next month for another fun project!!! These are all so cute! I love the color of that front door. What a clever idea, Nicole!! I love this! I bet it's such a great addition to your kitchen! Super cute Nicole! And who doesn't need a little extra storage? Prettiest way to display produce, Nicole! Love your idea! And the little sign is perfect! What a cute and creative idea! 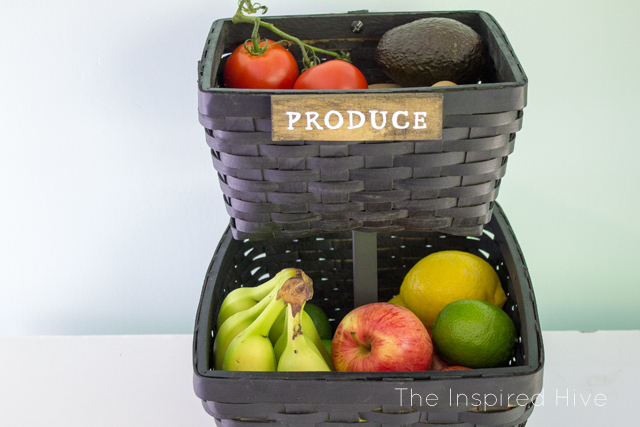 What an awesome and pretty way to store your produce :) Love it! Such a clever idea! 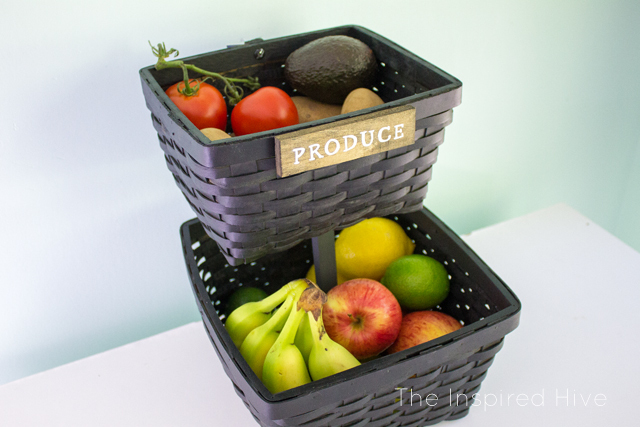 I love the way it turned out and I bet it makes it so much easier to have a dedicated place for all your produce! I will tackle shelves for the kids rooms with it first! Great idea and tutorial. I would tackle my kitchen cabinet doors first. Then some fun projects. Thanks for the giveaway. I would be so excited to win this. Good luck everyone.